Over the past two decades, Ideal Shield has created plastic bollard covers matching an impressive 591 Pantone shades. Some of these colors are carried on a daily basis, but most are generated through customer requests for custom jobs. 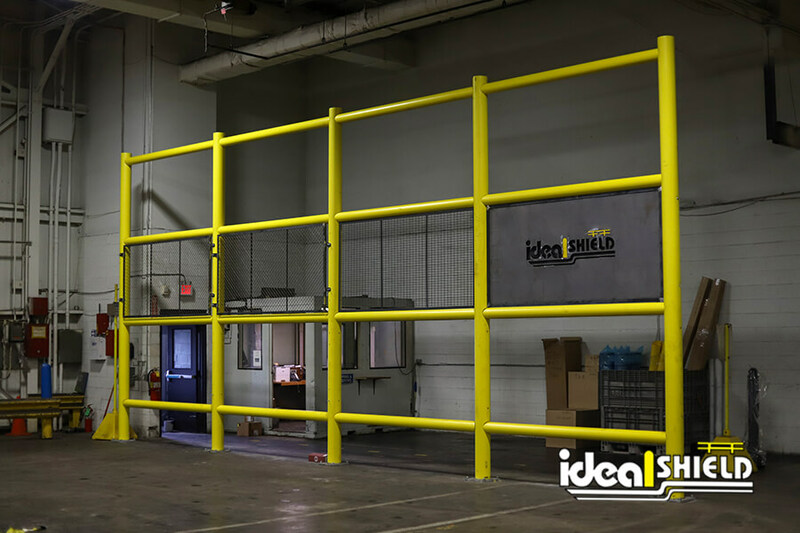 Some customers require uniformity with the colors used for corporate branding and marketing, so when they see Ideal Shield’s vast portfolio of already-matched hues, there’s no room for doubt that Ideal Shield has the capability to come through for any and all applications! We’ve seen how some of our suppliers, dealers, and customers display our vast rainbow of offerings and were inspired to showcase our abilities in our own way. We used nearly 200 color samples to create a mural in our Detroit headquarters, choosing none other than the “Old English D” that not only represents our local Tigers, but the city we love most. Keep in mind that this mural, five feet in height and four feet wide, only shows off 1/3 of what our company has to offer. So, the next time you find yourself wondering how on earth you’re going to please your picky customer, contact Ideal Shield and know that we will handle the rest!